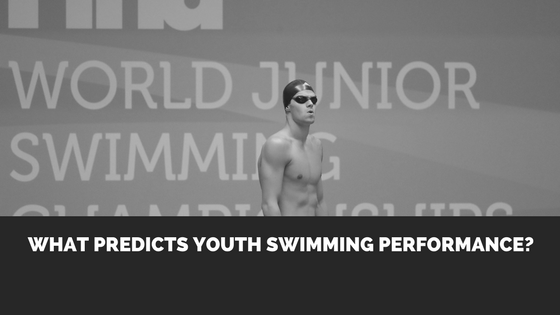 Blog What Predicts Youth Swimming Performance? What Predicts Youth Swimming Performance? 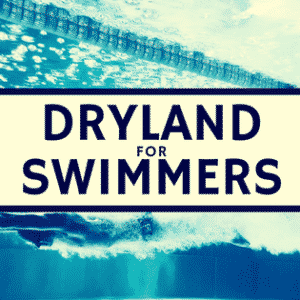 This is an important topic because it provides coaches with trainable variables and outcomes for their athletes that have been shown to improve swimming performance. 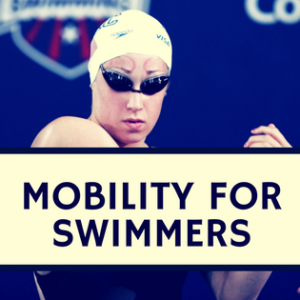 In this regard, coaches are provided additional tools for their “tool box” that allow them to focus on specific muscle groups and outcomes during their athletes’ out of the pool training sessions. The results of our study indicated that forearm flexion and extension actions (i.e. 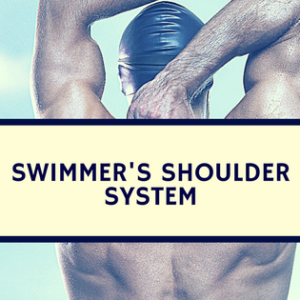 actions with the biceps brachii and the triceps surae muscles) in addition to quantity of fat-free mass and the height of the swimmers are most related to their ability to produce propulsive forces in the water during the front crawl. Both forearm flexion and extension actions can be trained, and fat-free mass is typically improved with resistance training, but height is going to be determined by an athlete’s stage of growth and genetics. In regards to my applied exercise physiology research, Dr. Amann at the University of Utah is currently conducting some extremely innovative research regarding the mediators of cardiovascular, ventilatory, and perceptual responses during dynamic exercise. There are a multitude of theories regarding which areas of the brain control our physiological and perceptual responses during exercise and he and his team are making great strides to pin point the “how”, “where”, and “why” this occurs. In regards to sport performance research, California State University, Fullerton is always active in publishing in the Journal of Strength and Conditioning Research and the graduate students consistently apply current research questions to sport specific populations, such as swimmers, surfers, soccer players, golfers, and even ultimate fighters. The students and fantastic advisement from the faculty keep a constant flow of new ideas, data, and theory available and accessible to coaches. I think that coming from a developmental background has improved my ability to conduct sport performance research. I have integrated my previous cognitive science knowledge into my current research agenda, which includes the mediation of the perception of effort during dynamic exercise, an area of which has endless applications for performance, training, and basic physiology studies in the future. I also have previous experience working with young athletic clubs and coaching, which I hope to apply to future studies involving young track and field, swimming, and tennis athletes. Two names come to mind- first would be my 7th grade science teacher and West High Cross-Country coach, Jason Druten. He inspired not only myself, but also all of the students in class to be passionate about science and become better critical thinkers. As a coach and former athlete, he also practiced his skills outside the classroom with the track and cross-country teams. Secondly, would be my current advisor, Dr. Terry Housh. He started his career at the University of Nebraska with the center for youth performance, which focused on innovating performance and descriptive research with young athletes when they were an understudied population. The research at Nebraska has and still includes young athletes from the fields of gymnastics, wrestling, and swimming. Dr. Housh constantly encourages his colleagues and students to ask questions that will contribute new and important information to the literature, while providing a springboard for new and future studies.